A seven year contract to maintain and improve West Sussex’s roads is set to be awarded to Ringway Infrastructure Services. 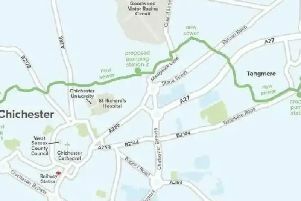 Balfour Beatty has been West Sussex County Council’s highways partner since July 2011, but this agreement is due to end in June this year. The authority is due to sign a new highway maintenance contract with Ringway subject to the completion of a ten-day standstill period. A procurement process for the new contract started in March 2017, with four candidates shortlisted for the second phase of the selection process although Skanska Construction later withdrew. The other two unsuccessful bidders were the current provider Balfour Beatty and Amey Highways. Bids were evaluated on a weighting of 60 per cent cost and 40 per cent quality. Officers explained that Ringway had ‘submitted the most economically advantageous tender’. The contract would be for seven years with an option to extend it to a maximum of ten years. Total spending through the current highways contract was £31.3m in 2016/17 and is estimated at £34.7m for 2017/18.